Get these guys a coffee or a cigaretel. They need to take a chill pill. 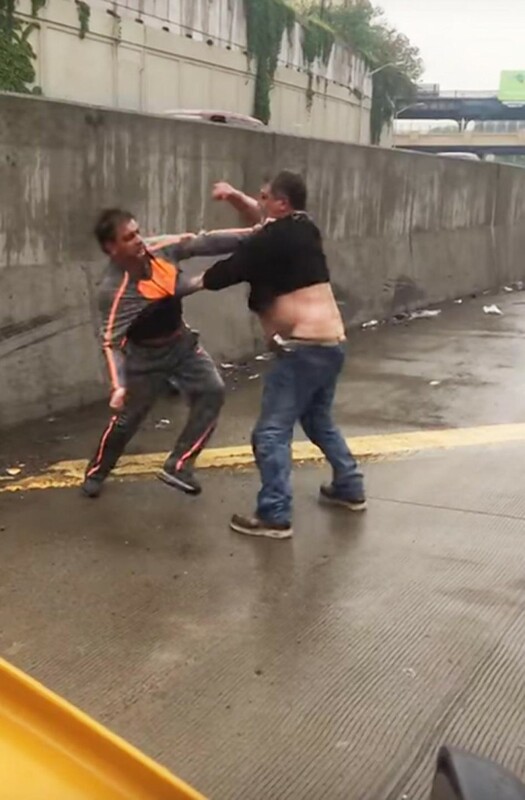 A New York City cab driver and a pickup truck driver got into a scuffle on the Brooklyn-Queens Expressway in New York and the road-rage embarrassment was caught on video. The clip, which was placed online on Tuesday, has since gone viral. And it ain’t pretty, chevrah. Apparently, the truck driver pulled in front of the taxi and then slammed on his brakes before jumping out of his vehicle. The taxi driver exited his own car and the two began fighting like little kids. After the two slugged it out, two female NYPD cops threw them against a wall and cuffed them. Why is this newsworthy? 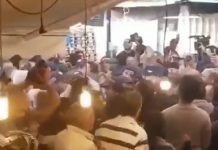 Why are you posting a video of two שקצים fighting? Don’t you do any filtering before you post? Do you believe there is any benefit for Yidden in seeing a violent fight like this? Do you believe this is cool and exciting? 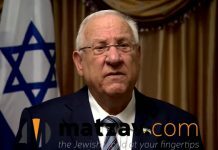 What in the world is your חשבון? How is this “the Jewish world at your fingertips”?? I want to see more of this. It looks real, very real. Is it? There seems to be some confusion here. The guy on the left is a welterweight, while the guy on the right, uhhh, isn’t. I don’t know who’s winning the fistfight, but someone’s pants are losing the fight vs. gravity. Reallly…. Who want to watch this shkotzim fight? This is NOT for us yidn. Please STOP putting this kind of notes that only provoke.